Hello everyone! 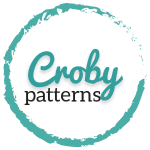 I’ve designed so many patterns for crochet baby booties through my crocheting years. Many of them are premium patterns available in my stores, but you can find quite a few here on my blog as a free pattern as well. 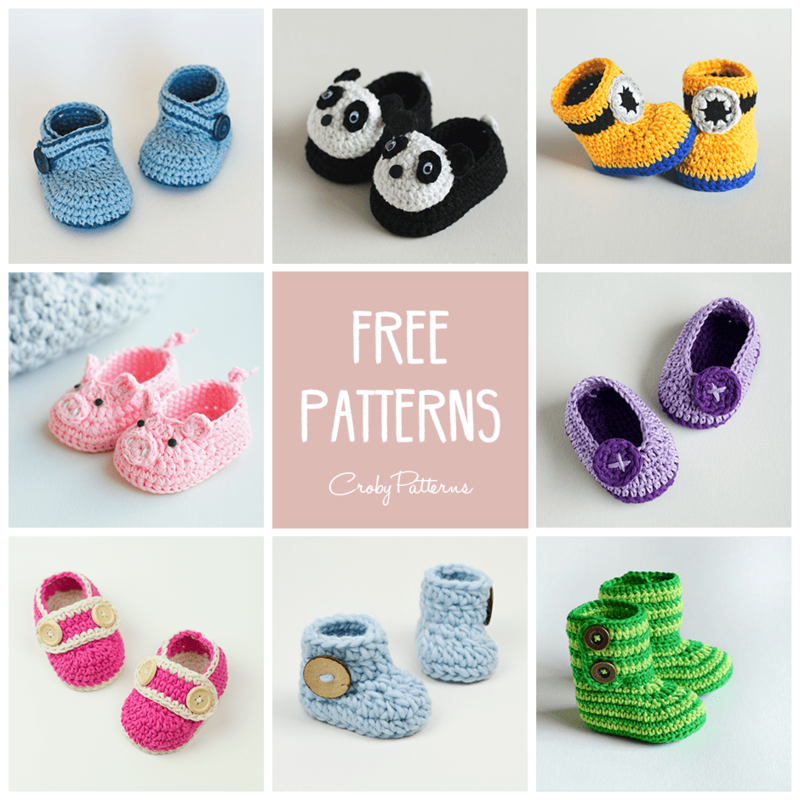 All the baby booties in the picture below are free crochet patterns that I wrote over the past couple of years. Six of them have even video tutorials which are great if you are a beginner, you prefer to follow the video instructions, or you get stuck somewhere in the pattern and you need help. 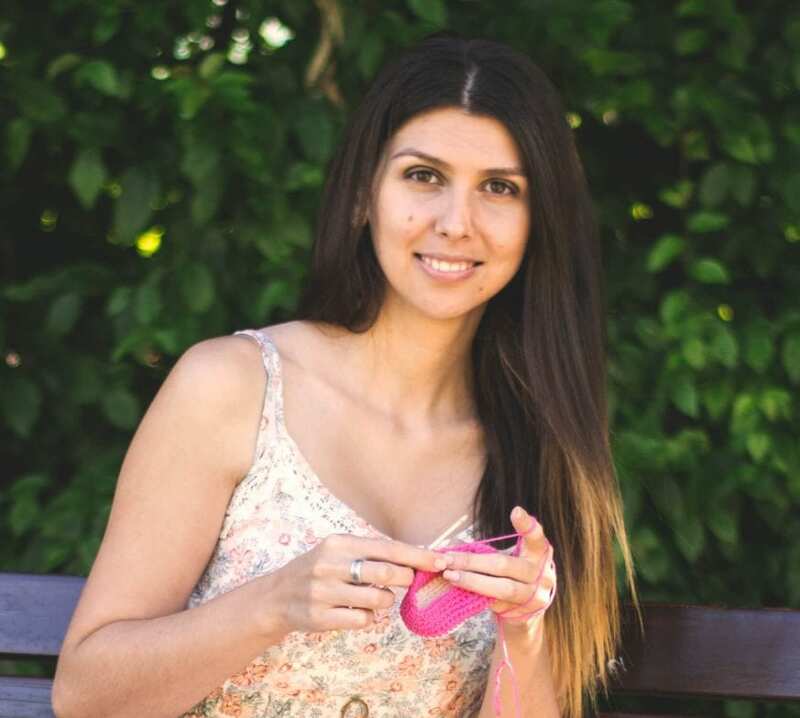 I think each and every single one of them is a bit different and will teach you a trick or two or even a new technique that might become helpful with your future crochet projects. I really hope you will enjoy using them, just as much as I did designing them. Thank you very much for sharing your patterns. I’ve just finishe zebra baby booties (number five) for my grandson. Just a bit too long, but it will last a longer time. I’m beginning number 6. Perhaps it will be too litlle !! May be I have to make one or two stitches more. I am trying to find the a baby uggs pattern showing on Pinterest. Is it still available? I was finding it hard to crochet booties because of the decrease rounds (always ended up with either too many stitches or toolittle)! Tried one of your patterns and I finally done it! Thank you so much.